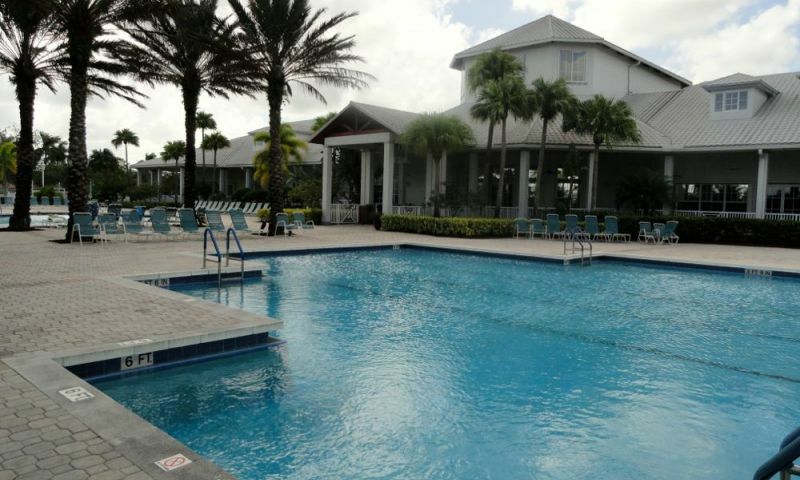 Baywinds is a gated 55+ community in West Palm Beach, Florida. Offering residents ample opportunities to enjoy an active, stimulating lifestyle while being located in a relaxing beach community, Baywinds has everything an active adult could want. The masterfully designed homes at Baywinds offer stunning models, and a community association guarantees low-maintenance living. Carefree-living means residents of Baywinds have more time to enjoy what life has to offer. Just outside the gates of Baywinds lies a thriving beach community offering high-caliber restaurants, myriad shopping opportunities and entertainment options like entertainment establishments, a zoo and museums. Rich in amenities, Baywinds offers residents a wide variety of fun activities and opportunities. The 7,000 square-foot Club Baywinds features a full-service fitness center complete with saunas and locker rooms, an aerobics and dance studio, card room, hobby and game room, and an arts & crafts studio. Those residents wishing to entertain can take advantage of the ballroom or theater rooms, which both contain stages. Or if a quiet corner is preferred, there is the media room and library. Outdoor amenities are sure to please active adults as well. There are two bocce ball courts, six Har-Tru tennis courts, four shuffleboard courts, a resort-style swimming pool, lap pool, resistance pool and a spa. Also outdoors are scenic lakes and ponds, including stocked fishing ponds, walking and biking trails and an outdoor patio perfect for admiring the view. Built by Lennar between 2001 and 2006, Baywinds consists of 1,082 homes encompassing single-family homes, coach homes, and attached villas. All homes were designed with active adults in mind featuring low-maintenance living with open floor plans. Single-family homes range between 1,632 and 2,567 square feet and offer two to three bedrooms, two or three bathrooms and an attached two-car garage. Some models have a den that can be turned into an extra bedroom. The attached villas are arranged in groups of four to six units. These single-level homes offer 1,206 to 1,527 square feet of living space and have great back patios and most homes have scenic water views. Another low-maintenance option in Baywinds are the attached coach homes. These two-story residences have four to six units in each of the eleven buildings. Coach homes offer between 1,952 and 2,377 square feet. They offer either lower-level living or a second-story model that offers an elegant floor plan above either a one or two-car garage. Second-floor units have private elevator access. These homes have two to three bedrooms and two bathrooms. Residents of Baywinds in West Palm Beach stay active and engaged. There is a club or group for just about any interest, including fitness, tennis, bocce ball, theater arts, Hadassah, camera, craft, clay artisans, creative writing and Shepherd's Guild. So many amenities exist at Baywinds that residents are likely to find their days and nights full of activities. Baywinds is centrally located in the West Palm Beach area. Just outside the gates, there is endless entertainment, shopping and dining opportunities, including a wide variety of golf courses. The area also features outstanding restaurants, expansive malls and shopping centers and entertainment opportunities. Residents and their guests can find fun at the Palm Beach Improv. When grandchildren are in town, fun trips outside of Baywind s gates include finding adventure at Palm Beach Zoo, Flamingo Park, which was originally a pineapple plantation, and Lion Country Safari. The latter attraction allows visitors to drive through this cageless zoo to check out wildlife up close and personal. The community of Baywinds is also conveniently located not far from the I-95 and the turnpike and is near the Palm Beach International Airport. When a day-trip is in order, residents of Baywinds have a lot of options from which to choose, including nearby Fort Lauderdale, which is home to the International Swimming Hall of Fame. Shoppers visiting the area enjoy spending time at the Fort Lauderdale Swap Shop, which is the largest daily flea market in the world. Active adults can enjoy great amenities, a social calendar full of clubs and activities, and a convenient location at Baywinds in West Palm Beach, Florida. Club Baywinds - 7,000 Sq. Ft. There are plenty of activities available in Baywinds. Here is a sample of some of the clubs, activities and classes offered here. Attached villas are single-story homes that are arranged in groups of four to six units with an attached one-car garage. They have two to three bedrooms and two bathrooms. These attached villas range from 1,206 to just over 1,500 square feet of living space and some homes enjoy lake views. Attached villas can be found in the Bridgeport and Lighthouse Pointe neighborhoods within Baywinds. Please Note: Not all floor plans are not available at this time. Coach homes offer between 1,952 and 2,377 square feet. Coach homes offer either lower-level living or a second-story model that offers an elegant floor plan above either a one or two-car garage. Second-floor units have private elevator access. They have two to three bedrooms and two bathrooms. Single-family homes offer low-maintenance living at its finest. HOA fees cover lawn care and exterior maintenance of the home. These models offer 1,632 to 2,567 square feet of living space. They have two to three bedrooms, two or three bathrooms, a den and an attached two-car garage. I am very happy with my condo at Baywinds. I love not having to worry about maintenance so I have more time to visit my friends and enjoy everything going on in the community and around Palm Beach. There is always something going on, lots of clubs to join, the swimming pools are very nice and the beach is very close by. It's a friendly environment and I feel more secure living in a gated community. 55places.com is not affiliated with the developer(s) or homeowners association of Baywinds. The information you submit is distributed to a 55places.com Partner Agent, who is a licensed real estate agent. The information regarding Baywinds has not been verified or approved by the developer or homeowners association. Please verify all information prior to purchasing. 55places.com is not responsible for any errors regarding the information displayed on this website.